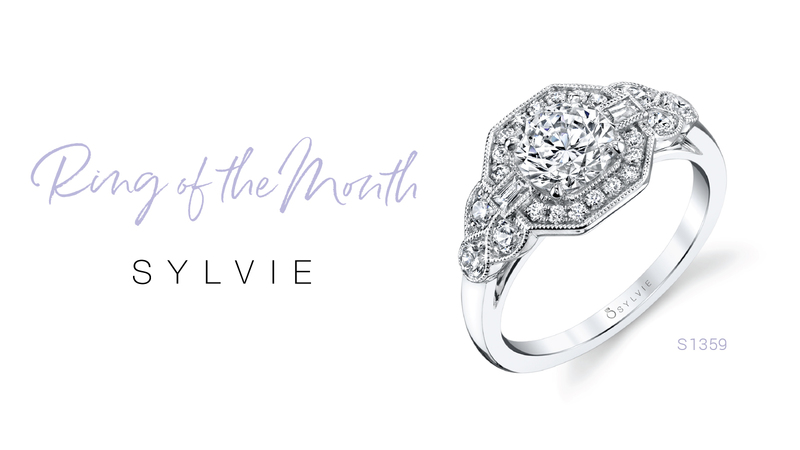 Welcoming February with Sylvie’s Ring of the Month, a Vintage Inspired Engagement Ring! This vintage inspired engagement ring is easily customized with different metals and touches that make this ring uniquely yours. 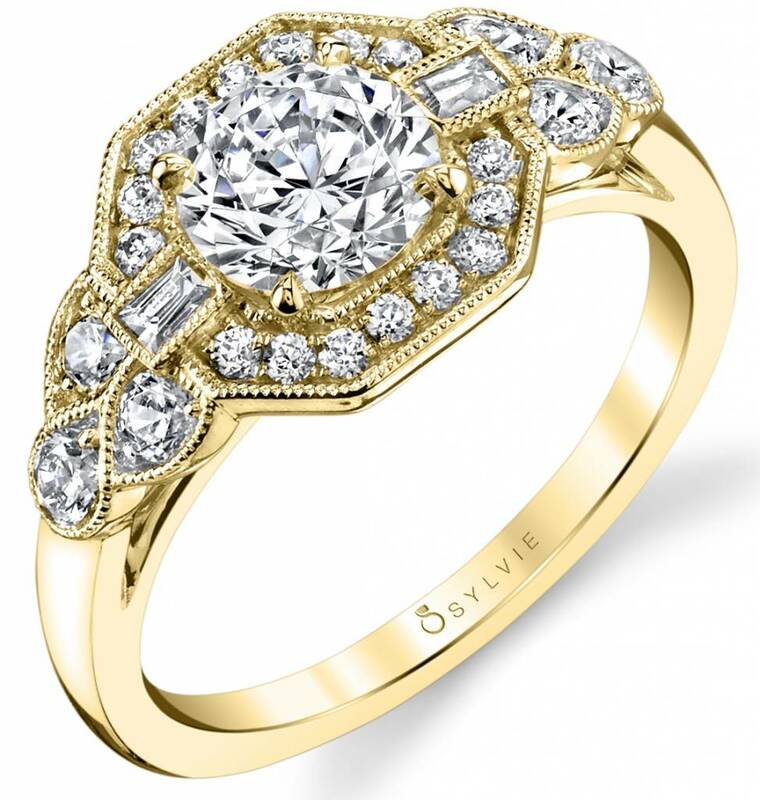 A gorgeous yellow gold or rose can turn this ring into a uniquely modern piece that every bride will want! With such a stunning octagon halo, the rose gold can really add that hint of trendiness that the fashion forward bride would love. You can really go for any look with this gorgeous vintage inspired engagement ring, which truly makes it our Ring of the Month! 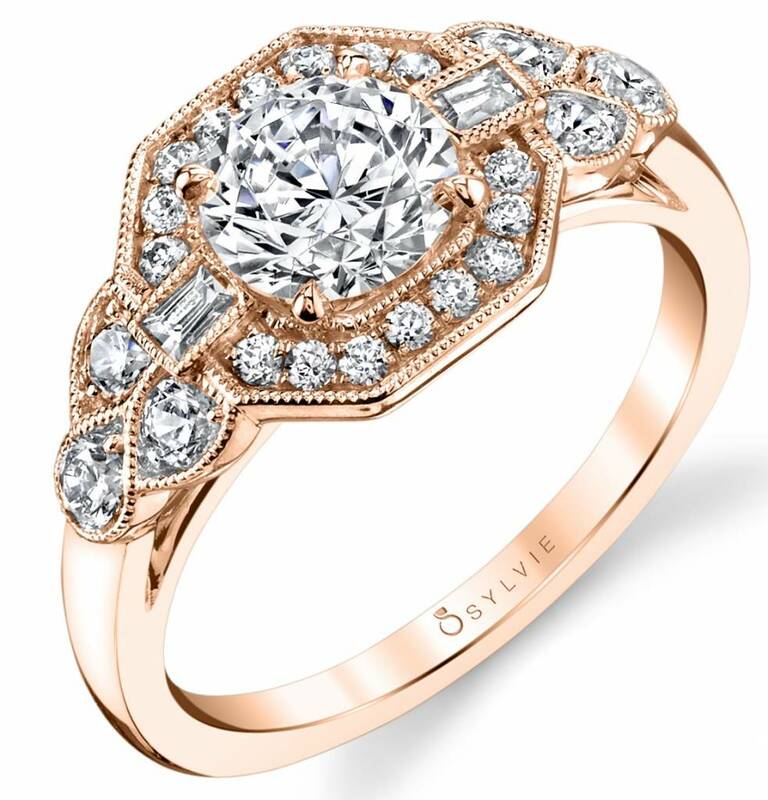 This unique vintage inspired engagement ring is perfect for the bride who thinks out of the box. The bride who loves intricate details and unique touches. 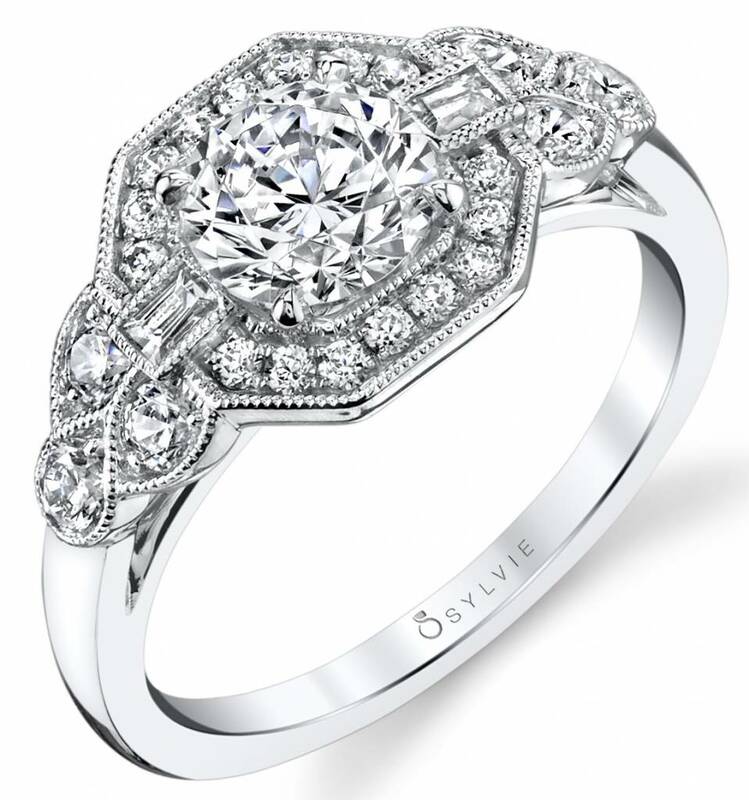 Although there are various details that make this vintage inspired engagement ring stand out, the octagon shaped halo and the mixed shaped shimmering diamonds, add the unique sparkle. Such a beautiful design that any unique bride would fall in love with. 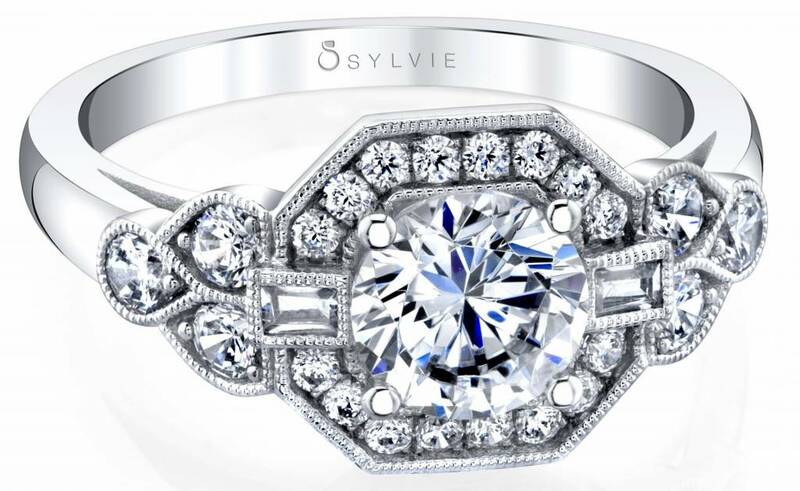 For more details, please view our S1359 at sylviecollection.com, and stay tuned for Sylvie’s March Ring of the Month! Like this vintage style? 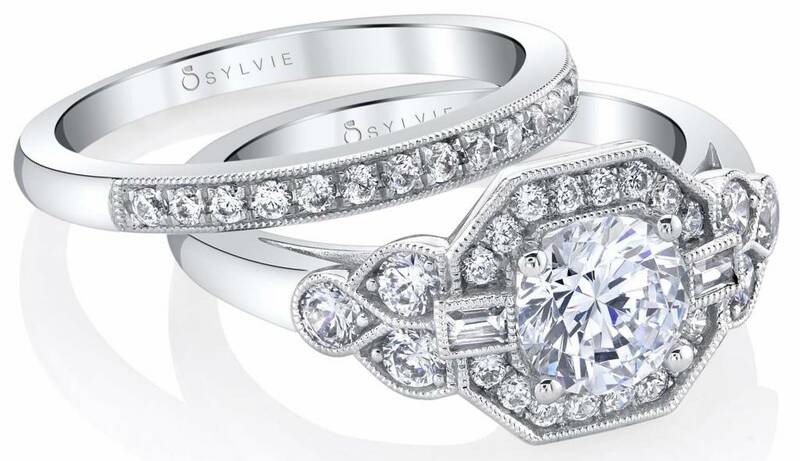 Browse our collection of Vintage Inspired Engagement Rings at sylviecollection.com!